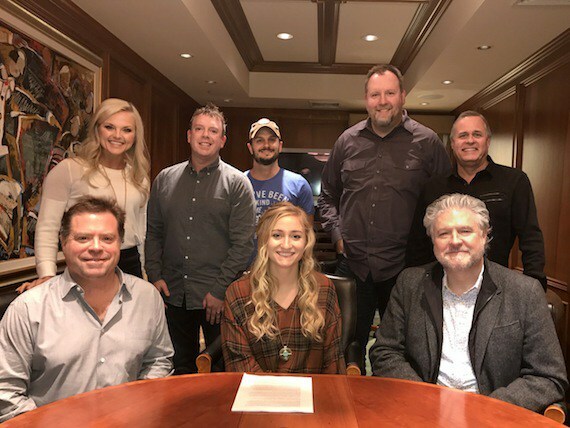 Palmer Lee has signed an exclusive publishing deal with Spirit/Fluid, the Nashville-based joint venture between Spirit Music Group and Frank Rogers’ Fluid Music Revolution. The Rogers, Arkansas, native graduated from Belmont in May 2015, where she studied commercial voice. Lee began her songwriting career as half of country/folk duo 3rd & Union with Chase Coy. Their 2012 full-length debut was critically acclaimed, and the track “No More” was featured on the television show Degrassi. Palmer has also released an EP and full-length record independently. “From the moment Palmer and I met and she began playing me her music, I knew there was something special with her, so I wanted Frank to meet her ASAP. That meeting went so well that we offered her a deal on the spot! We are excited for the world to hear her talents,” said Fluid Music Revolution VP AJ Burton. “I can’t think of a better team to work with than Frank, AJ and everyone at Fluid/Spirit. They have been incredibly supportive of my goals and the songs I’ve written, and I am excited to see what the future holds. I’m really thankful to begin my career learning from the best!” said Palmer Lee.